Beal Atha Liag was the ancient name of Lanesborough and provided the first crossing point on the Shannon north of Athlone. From 1000 AD, the bridges across the Shannon have been of major military importance, being a main crossing point between the East and the West of Ireland. As early as 540 AD, a monastery was established on Inchcleraun by Diarmuid with six churches and other monasteries and churches followed on some other of the islands in Lough Ree. There are still remains of some of these churches today. The town has seen many battles and invasions over the centuries. The Vikings started invading Ireland from the 9th century to the 11th century. The churches and monasteries were plundered and robbed several times during this period. These raids prompted the first bridge to be built in the towns defence against these raids. Malachy, High King of Meath in 1000AD, started to build the first bridge from the Eastern side (now Lanesborough) in conjunction with Cathal O’Connor, King of Connacht who built from the western side (Ballyleague) to link in the middle. The Norman invasion of Ireland started in around 1169. The Norman invasion saw a lot of action on and around the Shannon in the Beal Atha Liag area. The Normans typically advanced by means of the waterways and so any towns or lands along the rivers were targets for their settlements. The next bridge at this point was built in 1140 AD by High King of Ireland, Turlough O’Connor, in the advance of his forces from West to East. 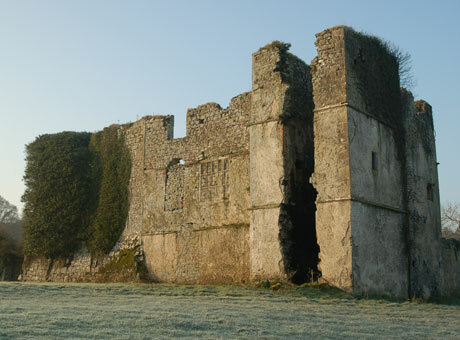 Walter de Lacy crossed into Connacht and started building a castle on the western bank in 1220 AD, which was never finished although remains still stand in Ballyleague. Geoffrey Meares, built a castle on the Eastern bank of Beal Atha Liag, that was known as Meares Fort. This was to enable the Normans to maintain control of the crossing of the ford. Meares castle was built where the car park stands today but no traces of it remain. Further battles were seen during the Jacobite war in 1690. Colonel Edmund Reilly was in charge of the defences at Lanesborough. The Williamite army under General Kirk approached the ford with the view to breaking through the defence. The two armies fought and after losing several of his men, Colonel O’Reilly withdrew to the west bank and destroyed part of the bridge to stop Kirk crossing. The bridge destroyed during this time was never repaired. People got used to crossing the river by wading when possible or crossing by ferry when the water was high. On the morning of the fair day in Lanesborough in February 1702, the ferry carrying 46 people and their fair day goods, capsized. Thirty five of those on board drowned. A stone bridge was then built in 1706 as a result of this tragedy. Some of the stone used was from the Meares Fort built in 1228. 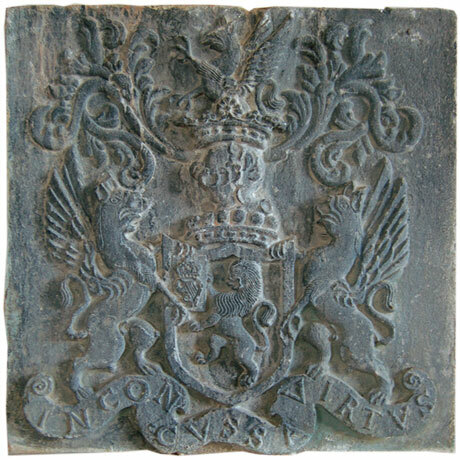 The Lane coat of arms was carved in the bridge after the Right Hon. Lord Viscount Lanesborough gave one hundred pounds towards the bridge. Lord Lane was granted Rathcline castle by Charles II, King of England in recognition of his loyalty to the Crown. Lord Lane was grandson of Captain George Lane who came to Ireland during Elizabeth I reign and married the daughter of Cormac O’Farrell. In 1664, Charles II granted Lord Lane a Royal Borough and this is how the Longford side of Beal Atha Liag became known as Lanesborough.